Fastbond is on the Reserved List. 2004-10-04 You take damage when you play a land using the "play a land" action. 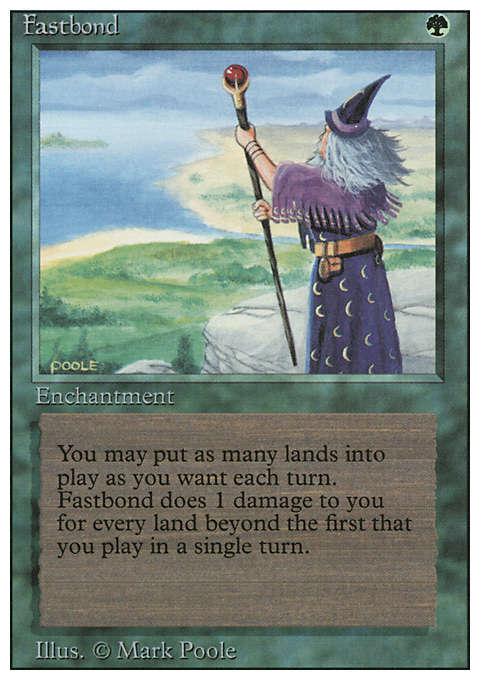 Such an action can be your regular "play a land", one enabled by Fastbond, or ones enabled through other effects. 2004-10-04 You do not take damage when you "put a land onto the battlefield" through the effect of a spell or ability.